This month is all about flowers over at Queen & Co, and I have two cards that fit the bill! Each card uses flowers and a heart shape, but one uses the positive of the heart and one uses the negative. Here is the first card I made. 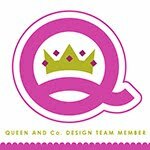 The dimensional heart is actually a piece of foam that has adhesive on each side because it was an element that I popped out of the Queen and Co. Foam Front Shaker Card Kit. 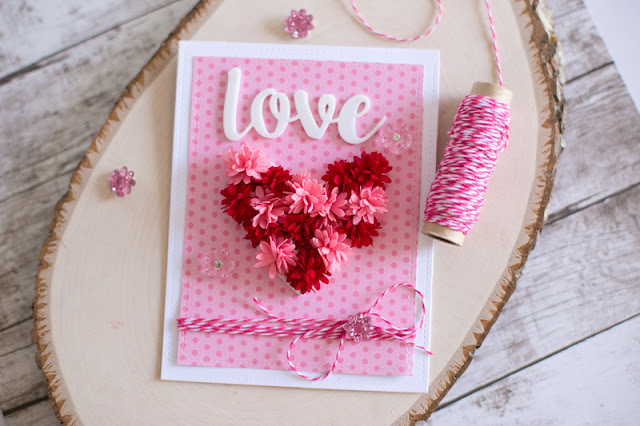 After peeling off the backing and adhering it to my card panel, I peeled off the front and used it to adhere a bunch of Pink and Red Pom flowers. To create the negative space of a heart, I die cut the heart from a card panel and stamped inside the heart like a window. 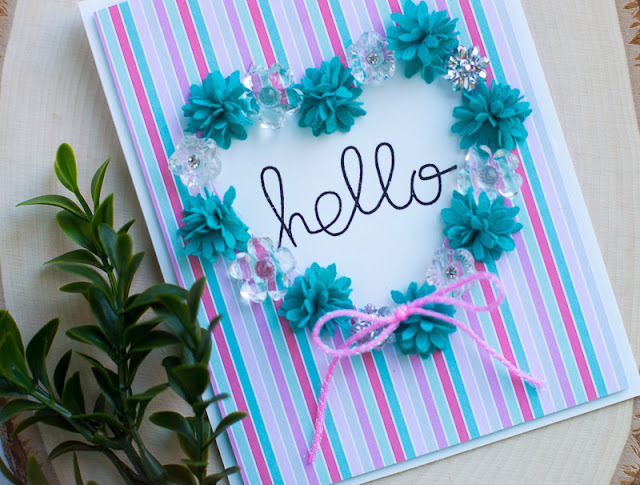 I adhered the Blue Pom Flowers with Therm O Web Zots and several other Queen and Co floral embellishments to the outside to make it look like a heart shaped wreath. I love heart shapes and using the positive and negative to create floral embellished cards was so fun! If you are interested in the supplies I used, just scroll down! Thanks so much for stopping by!